Manufactured: Sharp, Japan, October 1977. 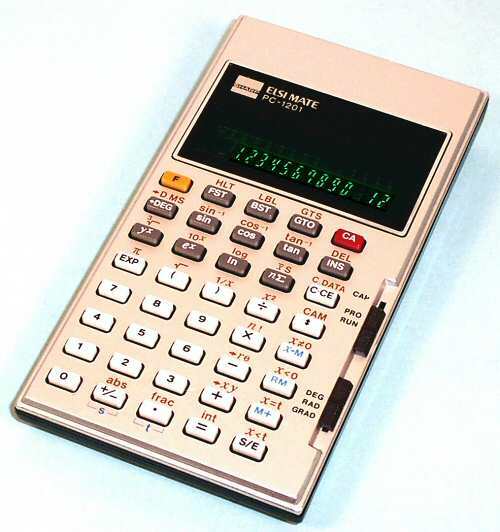 Sharp described the PC-1201 as a "Pocket Computer" rather than a "Programmable Calculator", although it is generally similar to other advanced calculators of the time. 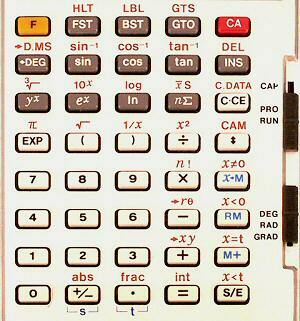 As a scientific calculator it has a full range of trig and log functions, coordinate conversions, mean and standard deviation, three levels of parentheses, twelve memory registers, scientific notation, and accuracy generally to 9 places. The programming capability provides 128 steps and includes labels, conditional branching, and one level of subroutine calls. Programs can be reviewed and edited from the keyboard, and executed in single step mode for debugging. Thirteen separate programs or subroutines can be stored simultaneously, and are retained for up to a year by a separate memory backup battery. The calculator was supplied with a 260-page applications manual giving sample programs from mathematics, surveying, finance, and engineering. 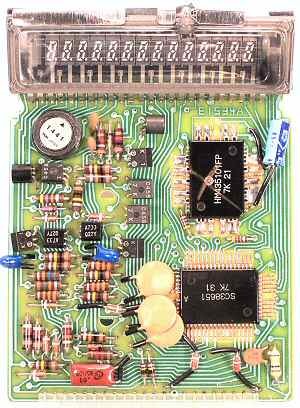 The circuitry uses three Hitachi LSI chips in 58-pin surface-mount flatpacks. The part numbers are SC38651 and 2 x HM435101FP, all with date codes 7K (October 1977). One of the HM435101FP chips is mounted on the reverse of the double-sided board. There are about 60 discrete components and a 14-digit Futaba vacuum-fluorescent display module. The calculator can be powered from two AA batteries, a special NiCad battery pack, and/or an external AC adaptor. The second HM435101FP chip is mounted on the underside of the board. Original text and images Copyright © John Wolff 2003-09.